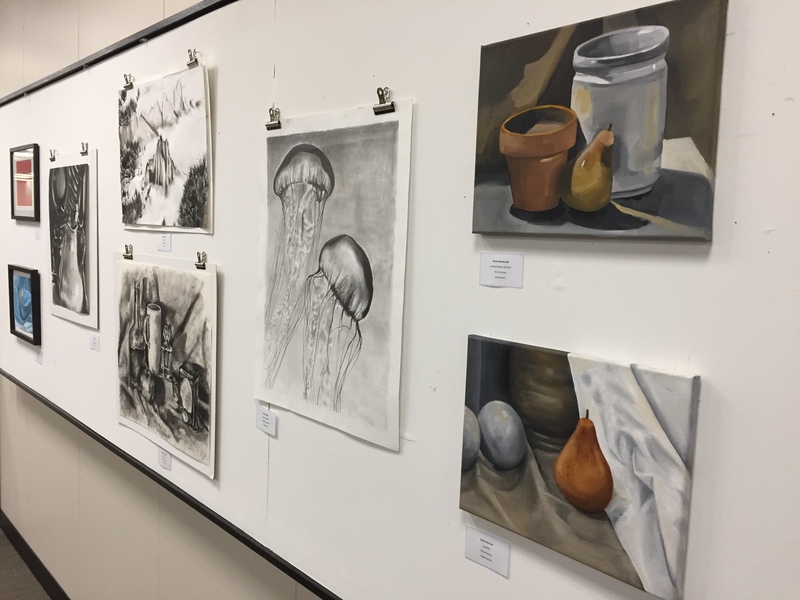 Barton’s student art lovers and creators have been hard at work, as evidenced by a new exhibition of student art on display in Hackney Library’s student art gallery area on the first floor near the elevator. 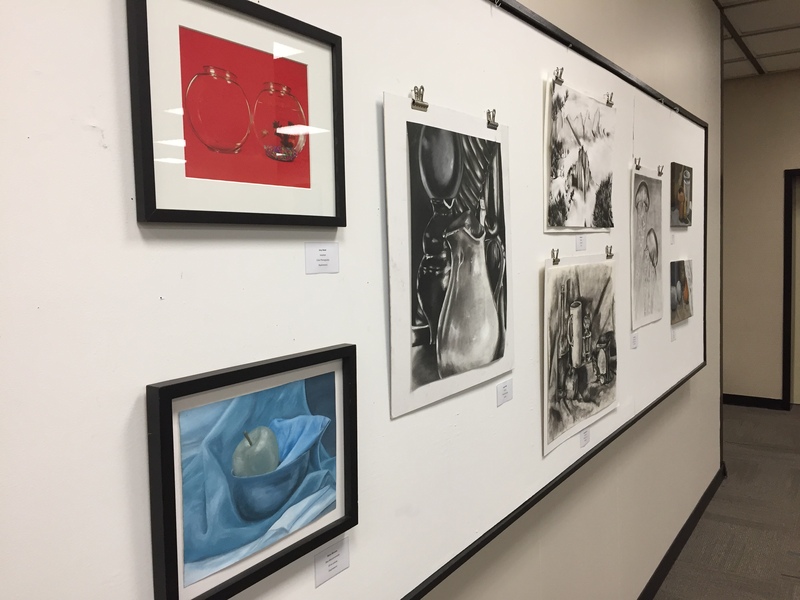 According to Barton Art League president Nicola Macdonald, “one of our ongoing projects is to keep the Hackney Library Art Board continuously occupied with new projects. 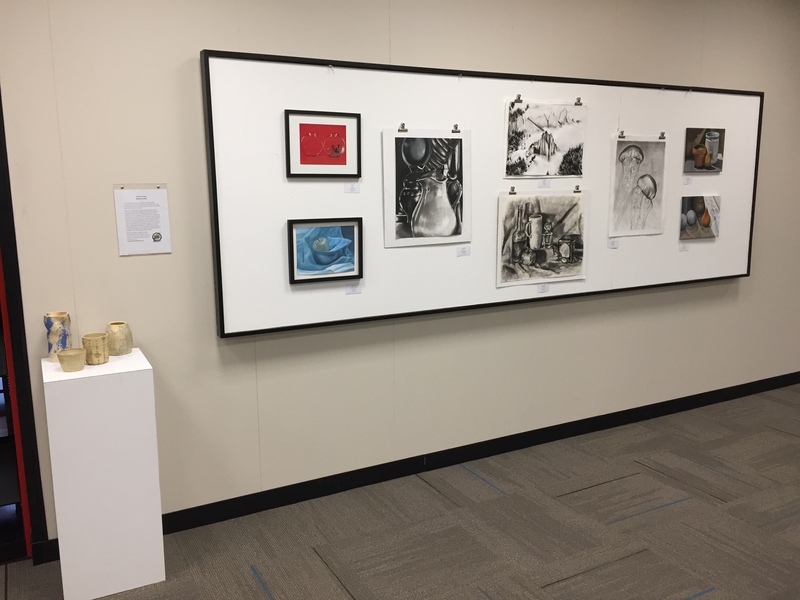 As a collective, we decided the appropriate first exhibition we run would be to display various student artworks.” The works on display represent a variety of media. Macdonald invites others with a “genuine passion for art and all the creative fields” to join forces with the BAL. She says that the group is not limited to just art students, nor to only the visual arts. If you are interested in joining, please contact Nicola at nlmacdonald@bulldogs.barton.edu. 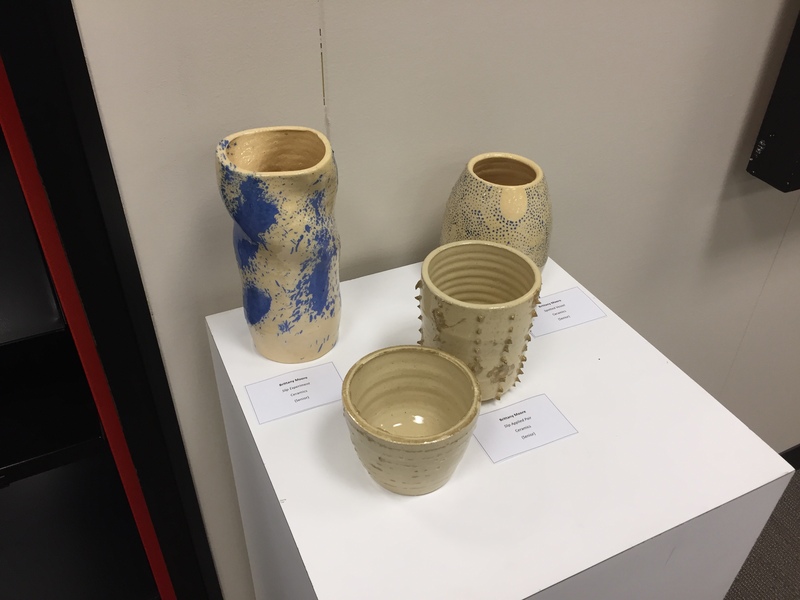 Stop by Hackney Library when you get a moment and witness for yourself the creative student talent on display.